Turner tasked Way To Blue to produce a digital engagement activity which complements and promotes the Powerpuff Girls master toy range and Cartoon Networks' imagination and creativity values. Way To Blue used our strong track record in delivering engaging, fun, inspiring and educational games for kids to deliver what has become a hugely successful app with more than one and a half million downloads on Android and Apple products, ultimately enabling kids to build their own stories using the familiar characters from Powerpuff Girls of Blossom, Bubbles and Buttercup (with the later addition of Bliss). Firmly rooted in the rich world of Powerpuff Girls, we made use of the villains, props, sets and characteristics from the popular show, allowing children to be their own story makers with their favourite TV heroines by creating and narrating their own stories. As well as giving their own voice to their stories, kids can add sound effects to their stories and then share their creations with friends and family directly from the app. Delivering a compelling experience, the Powerpuff Girls Storymaker app offers family entertainment where parents and kids can create, play and learn together. Challenges we faced included the required localisation into 12 languages for release across EMEA, ensuring the support of lower spec devices, common in emerging markets, whilst ensuring a great experience for all who play. To overcome this we ensured close collaboration with the client, across a very restricted timeline, which enabled us to move swiftly to a successful delivery. The result was an engaging story telling app for young children to create their own Powerpuff Girls stories and watch them back or share them with their peer group. The Story Maker app allowed millions of children to use their imagination and let it run wild with the opportunity to play with their favourite, familiar characters on their mobile device whilst learning the art of creating digital stories! 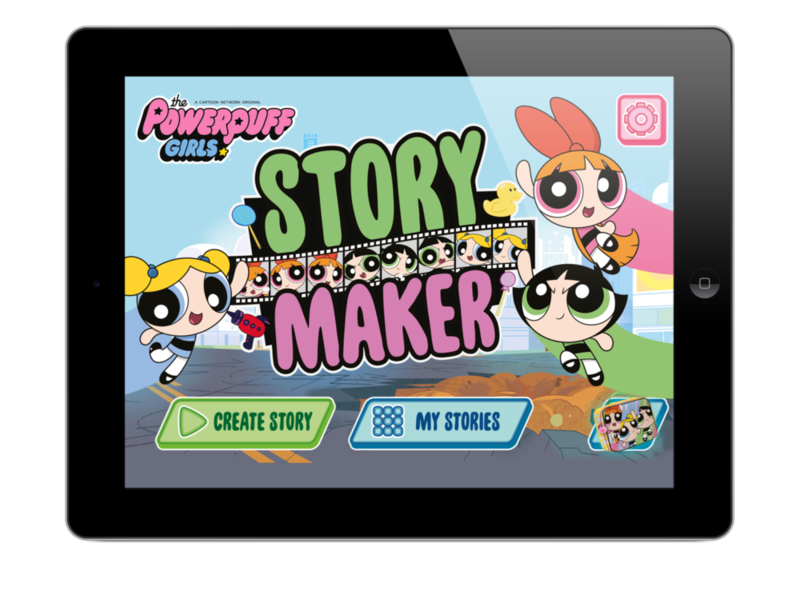 The free Powerpuff Girls Story Maker app let children bring their imagination to life. Users could join Blossom, Bubbles, and Buttercup, in the Powerpuff Girls' greatest adventure yet - where YOU get to decide what happens next. Will the girls defeat Mojo Jojo yet again, or will he finally get his own back? Way To Blue developed a creativity-focused game where children could animate their own Powerpuff Girls stories. It meant they could make their very own adventures and give them endless creative licence. 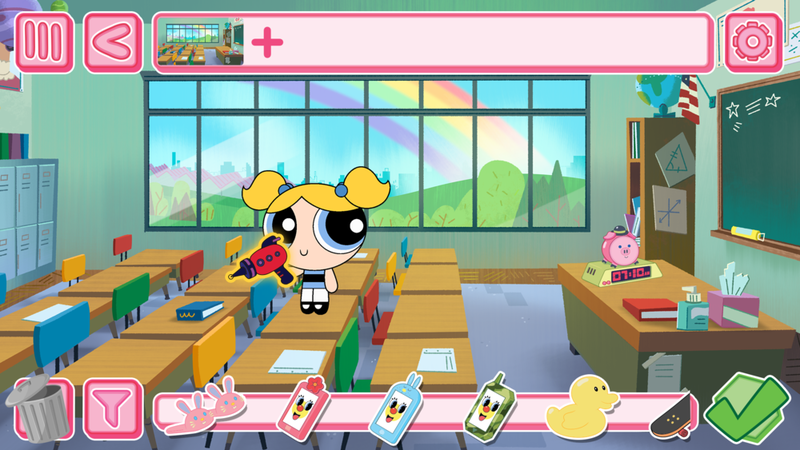 Users could create and select their favourite Powerpuff Girls characters on to the animation stage, add props, and then record their voice to bring the scene to life. The end result being their very own personalised story to then save to the mobile or tablet device and show off their talents with friends and family. Don't just take our word for it, download the app and see for yourself! With over 1,500,000 downloads across Android and iOS, the client was delighted with the results, so much so that, since launch, Bliss, the latest addition to the Powerpuff Girls has been added in to the app. Check out Cartoon Network's promotional video and intro here for highlights,..